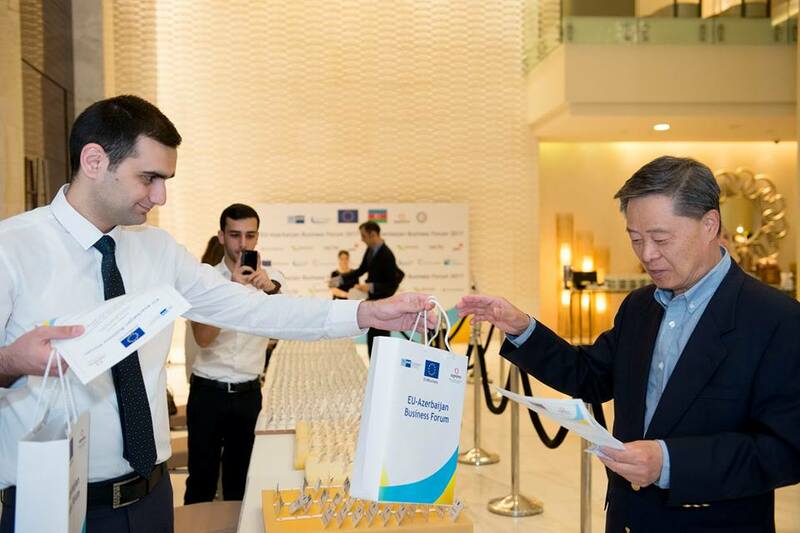 Over 500 high-level representatives from European and Azerbaijani business and government gathered at the EU-Azerbaijan Business Forum on 8 June in Baku. Participants discussed the current business climate, focussing on a large number of sectors that offer opportunities for EU and Azerbaijani companies. The Forum was organised by the EU Delegation to Azerbaijan, in cooperation with the Azerbaijan Export and Investment Promotion Foundation (AZPROMO) and the German-Azerbaijani Chamber of Commerce. The Forum aims at increasing networking and contacts between EU and Azerbaijani companies, and at building dialogue with the government on business challenges and opportunities. "The EU accounts for close to 50% of Azerbaijan's total foreign trade and the EU is the biggest investor in Azerbaijan both in the oil and non-oil sector. I am looking forward to intensive discussion during the EU-Azerbaijan business forum on how to further facilitate and increase trade and investment opportunities between EU and Azerbaijan," said the Head of the EU Delegation, Ambassador Malena Mård, in her speech during the event. Participants at the Forum learned the results of the second EU Business Climate Report, conducted among 100 EU companies operating in Azerbaijan in 2017, and the achievements and prospects of Azerbaijan's economic reform agenda. The EU and Azerbaijani companies were particularly interested in business opportunities in agriculture and food, environmental technologies, transport and logistics, ICT and E-commerce sectors.